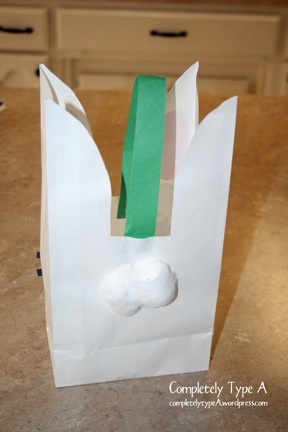 My kiddo did this super cute bunny bag at preschool. So simple, great for an Easter egg hunt or spring time activity. I love the cotton ball tail!